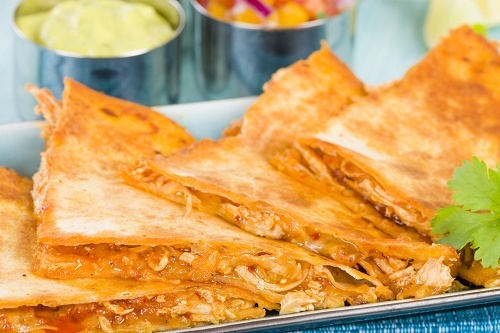 Whip up these delicious quesadillas for a snack or a light lunch. Spread six tortillas with beans. Top with chicken and cheese and add another tortilla on top. Microwave for 30-60 seconds or until the cheese is melted. Cut into quarters and serve with salsa.